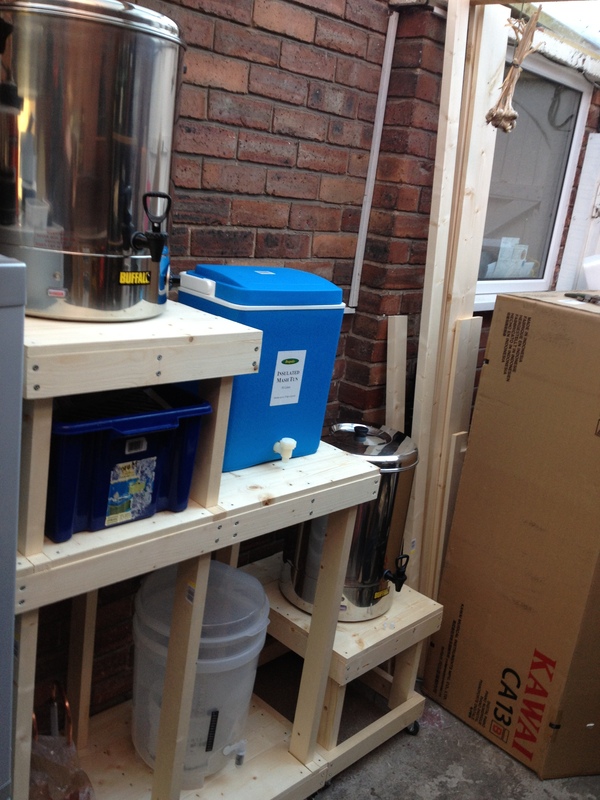 Well it goes without saying that every great/good/average home-brewer needs a home-brewery, and as I hope to fall into the 1st (or at least 2nd) category the decision was already made for me. I needed to build an awesome home-brewery! 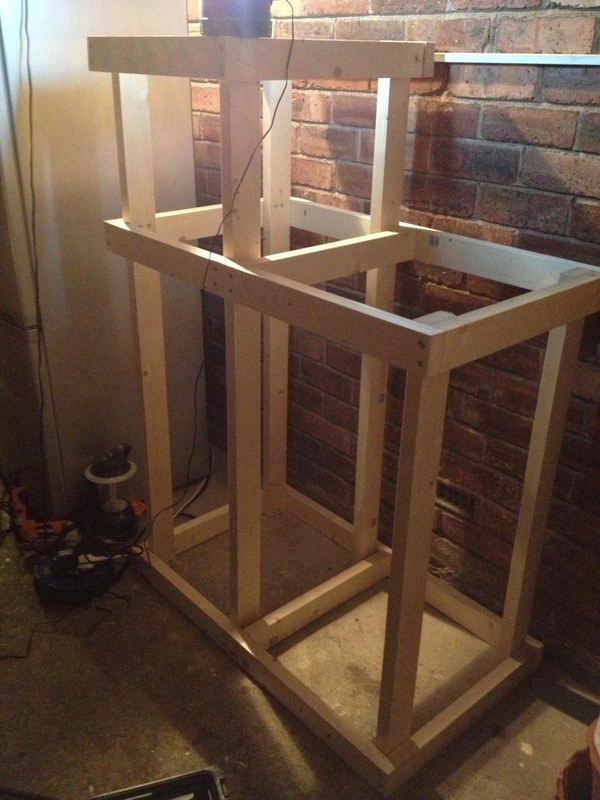 Here are some photos from the build, please note that until the day I built this I had no woodworking experience. First find a space to clear for the brewing rig. 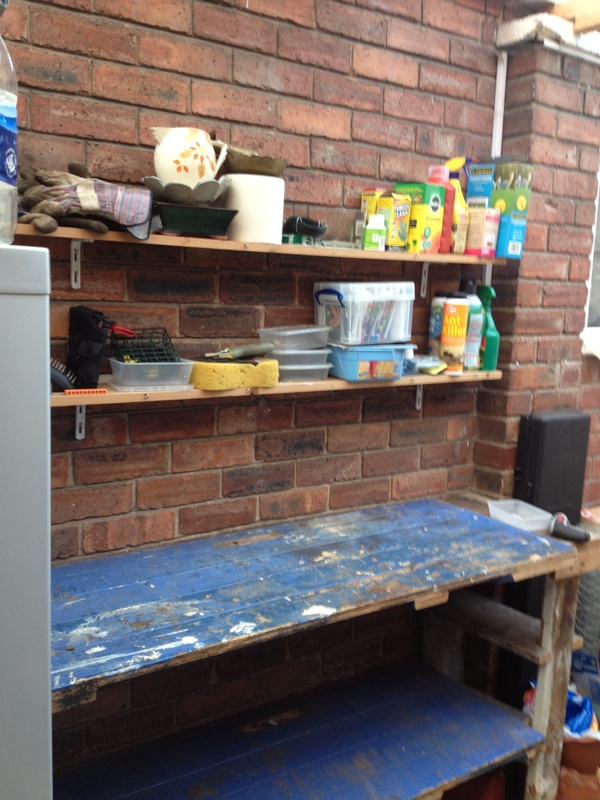 This used to be my potting bench, this was relocated to another part of the garage so was dismantled as carefully as I could. Resisting the urge to demolish it with a big hammer was possibly the hardest part of this build! I then constructed the main section of the wooden frame from basic white wood from a well known national chain of hardware shops. 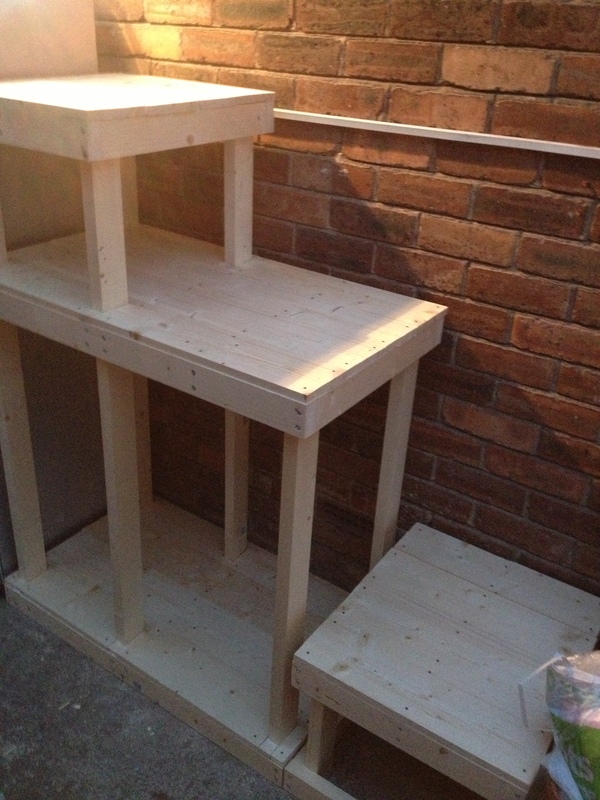 Now with the top two shelves added, and the separate box frame built for the boiler to sit on. This small unit will allow the boiler to be moved to the front of the garage when in use so the brewing fumes can escape to the outside. 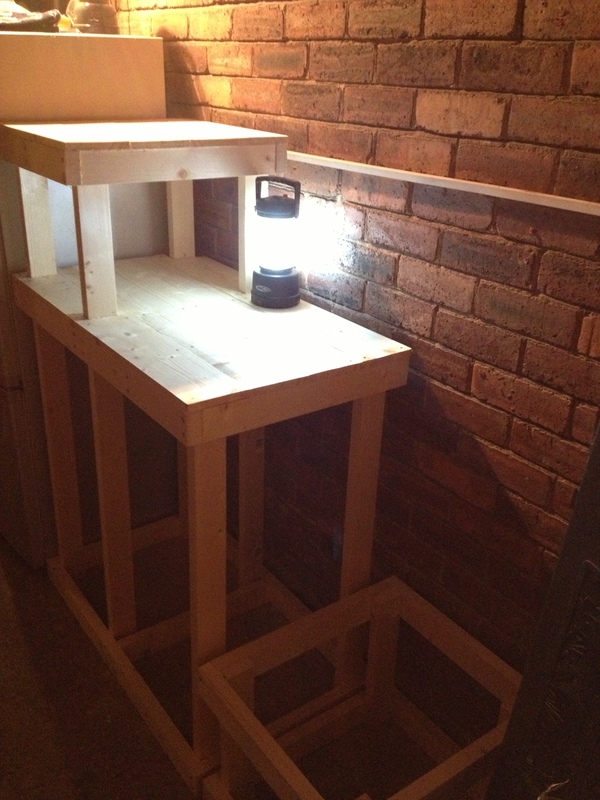 All woodworking completed. All that is missing from this picture is the varnish and mounting the whole lot on caster wheels so it can be easily moved around for cleaning purposes. And finally all finishing touches added, and with all the equipment in place to give a sense of scale. There is plenty of room on each step to allow for future upgrades in equipment. It’s perhaps not the tidiest woodwork job you’ll ever see, but I still think it ranks as pretty awesome!